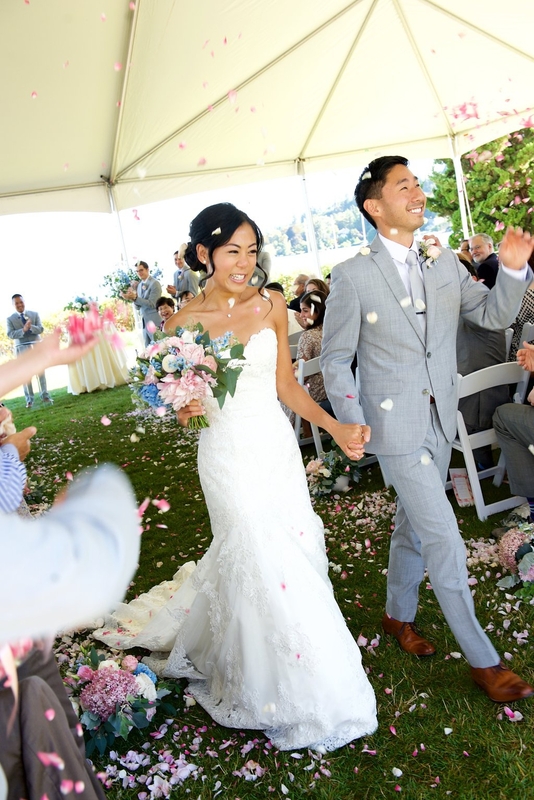 Justin and Rebecca’s Seattle Tennis Club wedding was on the most beautiful summer day. 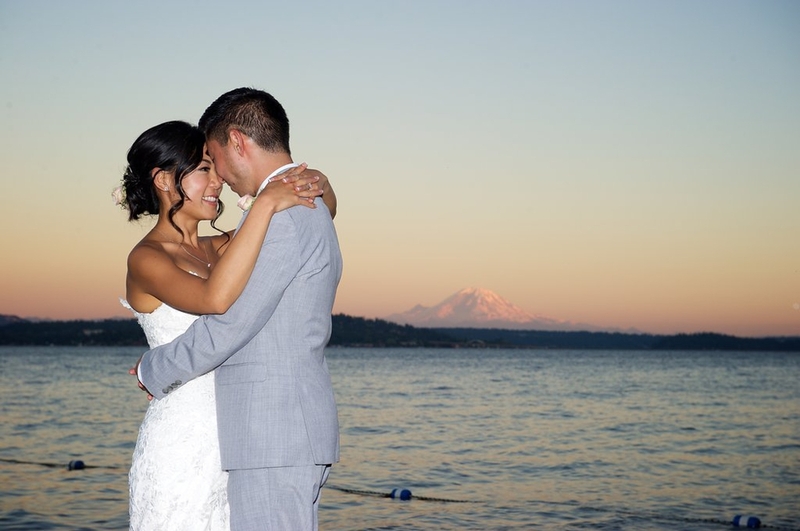 The ceremony views from the lawn at the Seattle Tennis Club are stunning - you look out on Lake Washington, with Mount Rainier in the background. And, it has an inside rain plan, which is important in Seattle’s climate, even in the summer. 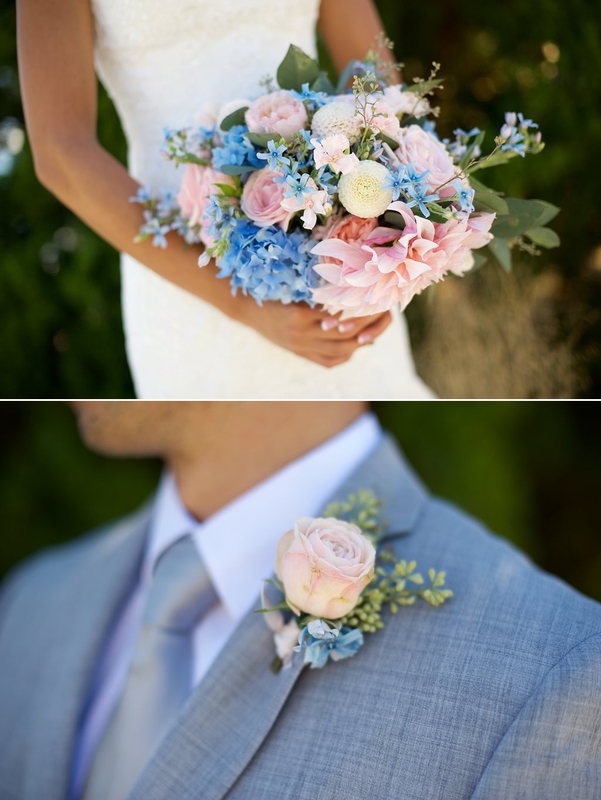 Justin and Rebecca’s color palette was soft and romantic shades of blush, coral, and dusty blue. 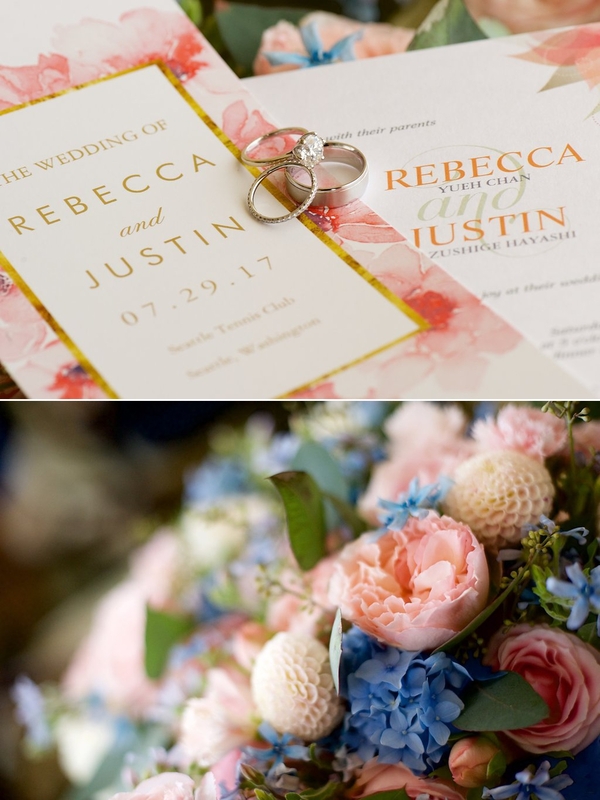 For flowers, we used all local flowers from the Seattle Wholesale Growers Market including dahlias, garden roses, tweedia, hydrangea, and heirloom carnations, with soft eucalyptus foliage. 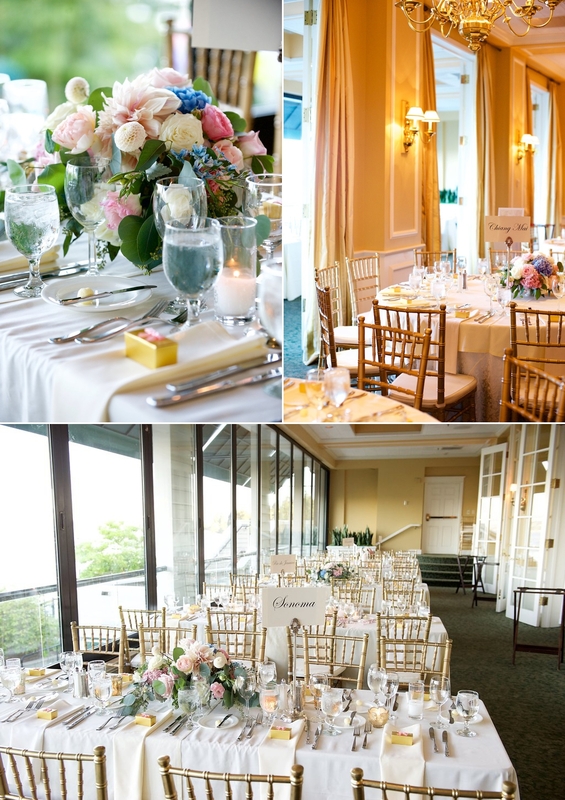 For their ceremony on Lake Washington, we placed two large arrangements on clear acrylic pedestals to frame the ceremony space but not block the view of the lake and mountain. We also placed arrangements on the ground down the aisle. For their exit after the ceremony, guests tossed flower petals that we placed on the chairs near the aisle. I love the joy on their faces! For the reception, we did a mix of blush and dusty blue compote arrangements and groupings of hurricane and votive candles surrounded by rose petals. one of my favorite elements was their wedding cake, with its cascade of blush and pink garden roses down the front. I cannot recommend Amy and Gather highly enough!! Amy is a god send - she is extremely talented, professional, caring, and easy to work with. I was the worst kind of client - I had no idea what my vision was, but was also extremely picky at the same time - but somehow Amy knew how to read my mind, pull out what was in my brain that I could not articulate, and create the wedding of my dreams. 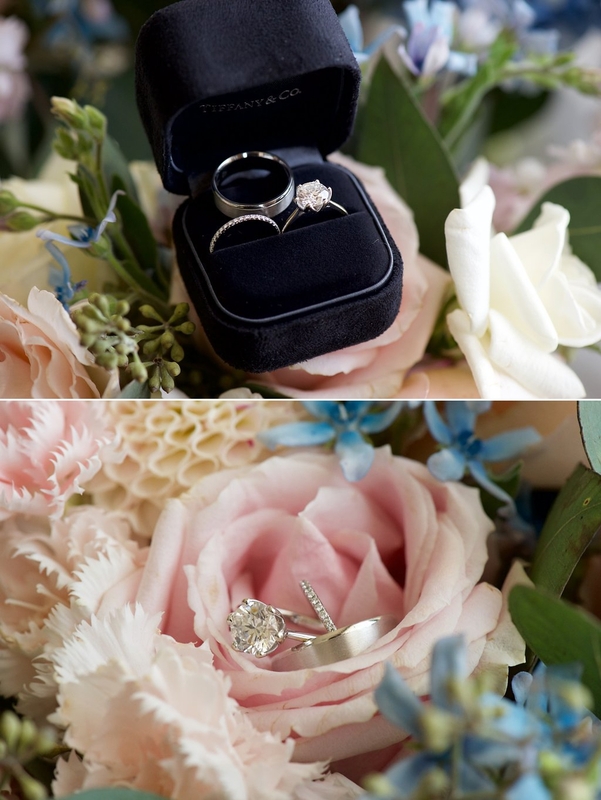 Everything was seamless and everyone kept complimenting me on how gorgeous the wedding and flowers were. Thank you, thank you, thank you Amy!